Situated close to Narbonne, and bordered by the Canal de la Robine, this two bedroom holiday home is wonderfully located within an authentic vineyard, which covers 4 hectares in size. 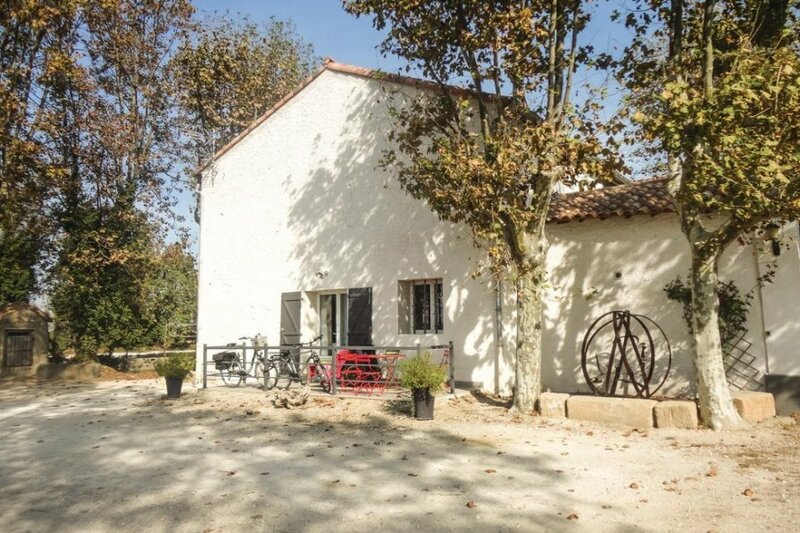 Situated close to Narbonne, and bordered by the Canal de la Robine, this two bedroom holiday home is wonderfully located within an authentic vineyard, which covers 4 hectares in size, amidst the Regional Natural Park of Narbonne. It is well-equipped for a relaxing holiday with a modern yet cosy open-plan kitchen and living area and benefits from access to the communal courtyard, which is shared with two properties, as well as the communal Jacuzzi and sauna. The property's terrace area is wonderfully relaxing - especially beneath the shade of the plane trees - and enjoys lovely views of the Cathedral of Narbonne, the Massif of Clape and the Pyrenees.The surrounding area is very picturesque and offers plenty to do. The Abbey Fontfroide is worth a visit, as are the beaches of Gruissan. This beautiful villa is made from brick or stone and was originally built in 1920 and refurbished in 2015. The agent has rated it as a four star property so it is a well-equipped villa with above average furnishings. It is also great value for money. The villaIt is located in Ecarts, 60km from Carcassonne. 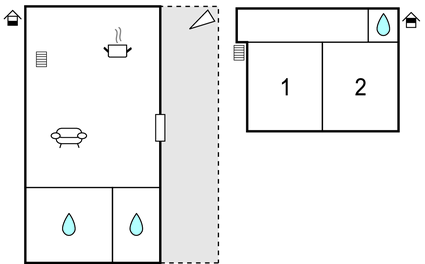 It is set in a good location: there is a restaurant 3km away. The villa has free wireless internet. You can also park on-site at no extra charge. The villa is well equipped: it has a refrigerator, microwave, washing machine and dishwasher. It also has a shared barbecue and some shared garden furniture outside.